In today’s technology driven world, your organization thrives on information. From sensitive client and employee records to proprietary corporate and trade information, having that data compromised is not an option. But more and more, organizations across the country are losing money at a rapid pace due to unauthorized access to sensitive corporate data. According to a recent Federal Trade Commission report, data theft costs businesses over $50 billion per year. Companies are reporting multiple instances of unauthorized access or system penetration and in as many as 55% of these cases, the crime is committed by an insider who has acquired someone’s username and password using simple spy tactics. In addition, many individuals and organizations have developed very sophisticated methods to steal digital identities or fool the authentication process to gain access to personal information and valuable enterprise data. According to the FBI, at least seven foreign countries are waging electronic warfare by training their intelligence officers how to hack into U.S. computers. In such a threatening environment, it’s important to ask yourself - how well is my organization’s data protected? And do I really know who has access to my network? 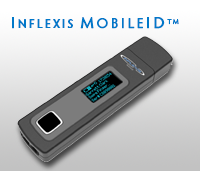 Find out how you can secure your company's data - whether in your pocket or on a server - with Inflexis ID Solutions, the world’s most secure authentication and data protection for enterprise systems. 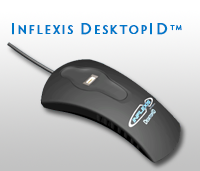 Read more about our easy-to-use, cost effective solution, learn more about the Inflexis LLC, or contact us today.